Chances are you’ve experienced it…The dreaded "Bad Hair Day”! You know, those days when no matter what you do, your hair still looks awful! But did you know that frizzy, unmanageable and unruly hair starts with how you dry it? Drying your tresses with The Original Curly Tee Towel™ results in soft, manageable luscious amazing hair all within 7 days or less! When it comes to styling my natural hair, I typically style my hair while it's wet. I have found that styling my hair while it's completely wet and allowing it to dry in twists really gives me longevity in keeping my curls nice and defined throughout the week. Although I like to style my hair while wet, it can be annoying when it needs to dry and I have places to go and people to see. 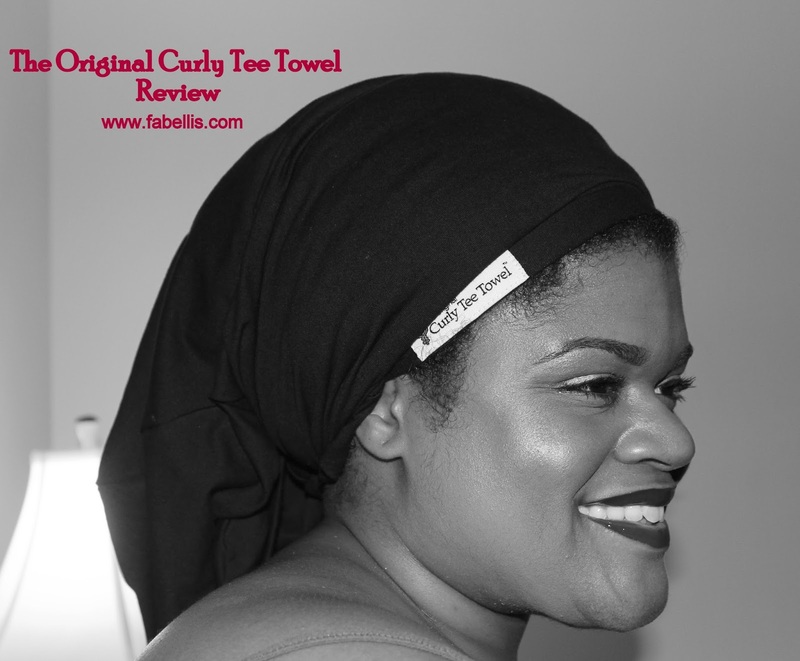 I felt that trying The Original Curly Tee Towel would be perfect, but my goal was to see if it could take away some of the excess water and still leave my hair soft and manageable. Guess what? It did! I used the towel after rinsing my hair to gently remove water from my hair and it left my hair slightly damp and manageable. I was able to create soft, two strand twists that dried way quicker than my typical drying time. My twists were dry within a few hours versus taking a full day to dry. Although you can also wrap the towel around your head to dry your hair or to keep hair out of your face while drying, I mainly used it just to remove excess water, which it did exceptionally well. Yes. This towel is perfect for any hair type and it cuts down on drying time significantly. Plus, the towel can be washed and dried in your washer and dryer so it's great deal since it's under $20. This is also a great towel to put your hair up into and out of the way while you get ready without damage. My only suggestion would be that if you are like me and rarely use a towel on your hair or to wrap it up, this may not be the wisest investment for you. Do you use a towel to dry your hair? 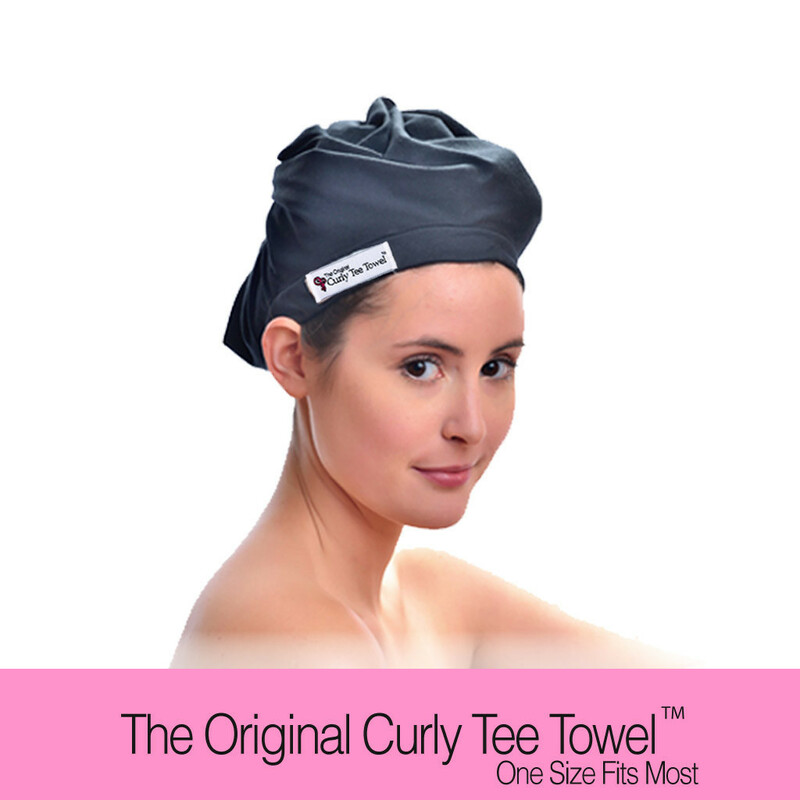 Would you consider using The Curly Tee Towel on your hair? I received this product for review purposes. All thoughts are my own. Great informative post! I will suggest this towel to some of my natural friends. This sounds like something that would be perfect for my daughter. Thanks for the tips. Going to check it out now. I've been looking for something like this at a reasonable price. I've been trying to move away from using so much heat on my hair. When I let my hair air dry, though, it gets to frizzy. I might have to try this towel! I think you would really enjoy this. Thanks for checking out my review! Girl, you better stop using that towel! It really can damage your hair. If you have to use a towel, I really suggest using a towel like this. It's so gentle. I have to towel dry my hair or it drips everywhere (and I can't stand when my clothes get wet!). I had no clue that t-shirt material would help dry the hair faster. This tee towel sounds really awesome! It might be time. :-) Thanks for checking out my review! If you wash your hair at home and use a towel or want to dry your hair quicker, I think you would really like this. It's very gentle! Hey Madaline! Yes, a t-shirt helps a lot! With this towel, my hair didn't drip at all once I patted it down. ROTFLMAO!!!!! Yes I know how damaging it is and I'm so hard headed, SMH! I'll look for a towel like this during the weekend before wash day. I have tried it and although not for me it is a great product. I remember seeing your review video. Loved how honest you were! Hate it didn't work for you.